﻿ John Mitchell | Pro Pharma Pharmaceutical Consultants, Inc.
Mr. Mitchell has extensive education in Computer Programming and Electronics; with numerous certifications including Novell and Microsoft Networking and Programming. He commenced his employment with Pro Pharma in 2000 and has continuously served as our Chief Data Analyst and Lead Programmer. Prior to his employment with Pro Pharma, Mr. Mitchell had extensive working experience as a Systems Analyst, Programmer and Programmer/Owner of his own firm. 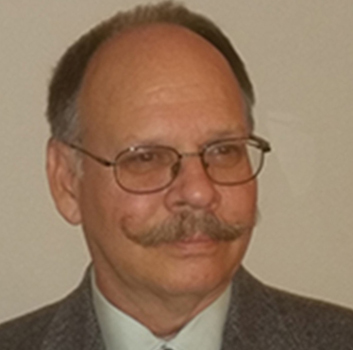 Mr. Mitchell has been intricately involved with multiple Medicaid/Medicare Health Plans in working to develop the Invoice Screening™, RFP Financial Modeling and Custom MAC analyses. He has also developed the MAC Customization template. Mr. Mitchell is the primary analyst responsible for all PBM RFP Cost Accounting Analyses, in collaboration with Dr. Stern. He has extensive experience and knowledge of this specific analytical process, and identifies valuable trends, issues and concerns for Client review and evaluation. He has worked collaboratively with the Analytical Team on various Client RFPs through the years in conducting the Vendor Financial Modeling. His expertise is invaluable to Pro Pharma in meeting Client needs in a thorough, innovative and expeditious manner.